There are two main reasons a mirror behind the kitchen stove is recommended by some feng shui consultants. As mirrors reflect, thus double everything in sight, placing a mirror to reflect the stove burners is believed—in traditional Chinese feng shui schools— to double one's wealth and abundance. The same principle lies behind the feng shui suggestion of placing a mirror to reflect the dining table. If the cook has his or her back to the kitchen door—or the main flow of traffic/most activity in case of an open kitchen— a mirror placed behind the kitchen stove can then be helpful to see what's happening behind one's back and leave them feeling more secure. 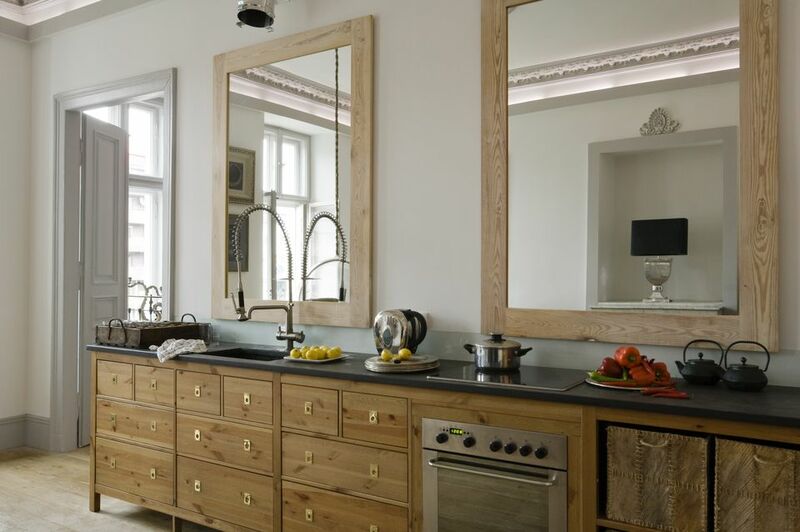 Do you need a mirror behind your stove for good feng shui in your kitchen? No, you definitely don't. If you do not cook with your back to the door, then there is no need for it. However, if you do have your back to the door while cooking, especially if your stove is in a direct line with the door, then it is important to look for some feng shui solutions for your kitchen. It is also important to only choose those solutions that will look and feel good in your space. A mirror behind the stove can look strange. It will also need a lot of upkeep to keep it clean because if you don't, you will be just creating bad feng shui. The best feng shui solution, in this case, is to find some kitchen-appropriate items with a highly reflective surface and place them so that they give you a view of the kitchen door while you are cooking. Any kitchen decor item or appliance—from a stainless steel toaster to a highly reflective, colorful backsplash—will serve the feng shui purpose, as well as look appropriate in your kitchen. Good feng shui in the kitchen—as well as in any room—is made of good energy, so if something does not feel or look right to you, be assured that it cannot have good feng shui. Stay with the basics and trust your senses; this is always good feng shui.